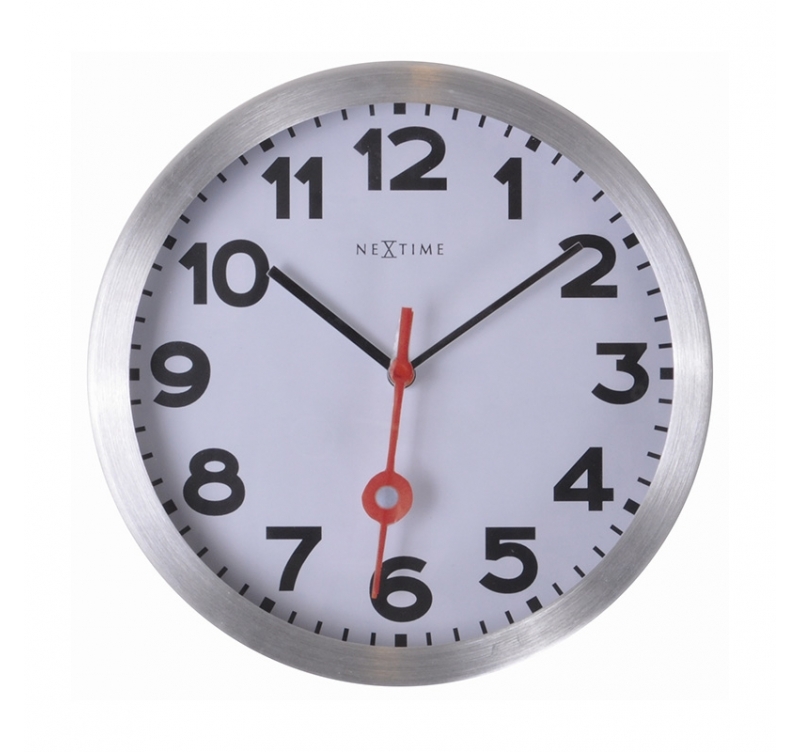 Find the industrial style in your lounge or kitchen with this original wall clock in brushed aluminium. Its graphics makes this vintage wall clock a true urban deco object. 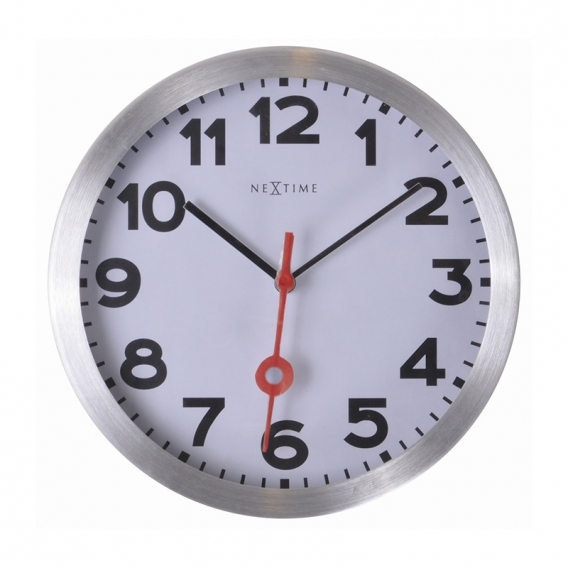 The dimensions of this industrial wall clock are 35 CM in diameter. You have to think of the charm of the stations of days gone by when looking at this large wall clock. Its round face is encircled with a brushed aluminium ring. The hours are shown by large black figures on a white face sheltered behind a protective glass. The two black hands of the vintage wall clock go with a red second hand Breguet type and ended with a ring. 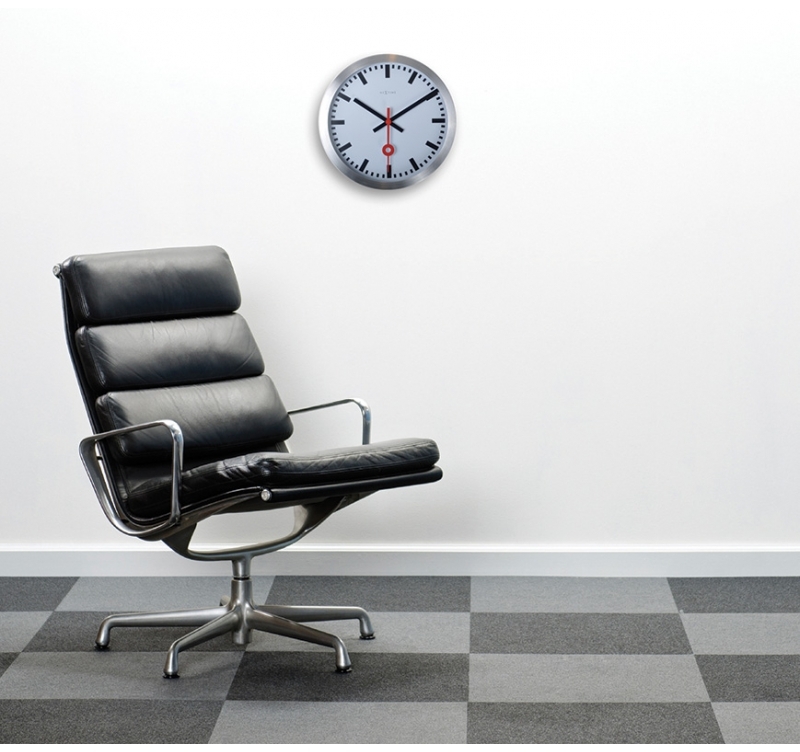 Your original wall clock will perfectly match an urban deco or a new-york loft type deco. It can also be a very nice kitchen clock bringing an assertive deco touch.